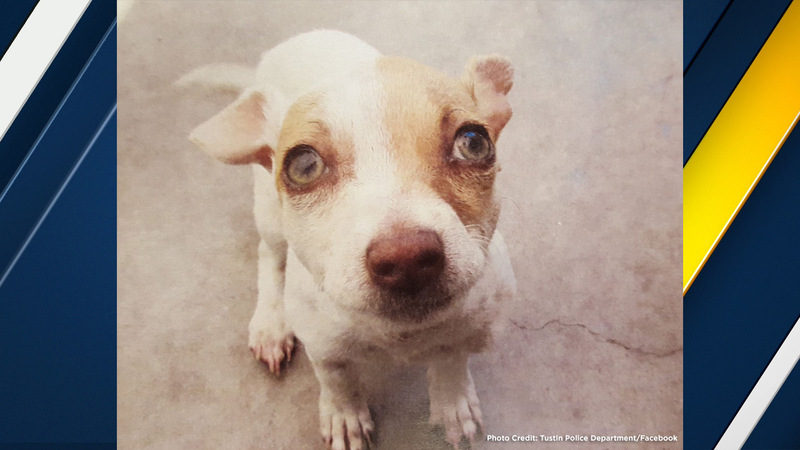 Bubba, a terrier mix puppy, tested positive for heroin, methamphetamine and nicotine after being rescued during a drug bust at a Tustin motel in March, according to police. TUSTIN, Calif. (KABC) -- A puppy that was rescued during a drug bust at a Tustin motel had drugs in his system, according to officials. Tustin police said they arrested two people after finding large quantities of drugs and paraphernalia at a motel in March. During the investigation, police said a terrier mix puppy named "Bubba" showed signs of being under the influence of drugs. Bubba was taken to Orange County Animal Care to be treated. Police said it was there that Bubba was found to have heroin, methamphetamine and nicotine in his system. The puppy was treated for his drug addiction and officials report he has been doing much better. Based on Bubba's toxicology results, police said additional charges of animal cruelty would be filed against his former owners. Once Bubba is fully recovered, officials said the search for his forever home would begin.